DropTask is a software that will make you drop your other tasks management softwares and start using this. I absolutely LOVE how it is clearly designed to instantly create tasks and lists, sorting everything by its relevance or importance. I love how detailed we can be when it comes to create tasks with this software. The mobile version is amazing and I like it more than the web version because it is easier to use and provides more beautiful tools. It also has a lot of integrations with softwares that I use everyday like iMindMap or Evernote, so this is really great. I've had a few bugs using this software but nothing to really worry about. The customer support replied fastly and it solved the problem. I'm sure you will love this software, it doesn't matter if you use it to work just yourself of to work with your peers, it will be a important part of your daily life once you start using it! It is also free and that's great. I've been using this software to make my to-do lists and tasks for my job and it amazes me. I can organize everything the way I want in different categories and work on then just myself or I can invite people to join if I want. I've honestly found this so helpful and have found that my tasks are completed faster than before! "Plan and manage your tasks like a mind map"
It's a great application because it allows you to manage your tasks graphically, communicate your ideas to the rest of the team and collaborate for the fulfillment of the company's projects, the interface is very attractive and you get what you are looking for with just a glance. You can list tasks, systematize communication and collaboration in an integral and unique way. It is an excellent application to use on your computer, however despite being multiplatform I do not recommend its use from a mobile device. The tools with visual features are always of great help, people tend to better capture information through mind maps, not for everyone but certainly helps you have a clear vision of your projects from start to finish. "An incredible way to organize your tasks"
"One of the best visual tools to organize your tasks"
"Rare drop in ocean of task management applications"
DropTask help me to get things done with help of visualization. You can select various views on your tasks - like a Canvas, Calendar, Workflow and great one Planner (that was introduced in last update). For each task you can add various additional information and context like tags, comments, uploads, cover imager, efforts, priorities. For me the game changer is mobile application that provide great user experience and it´s handy companion to desktop app and Canvas view - that is something I cannot find with others products on the market. The additional value is provided with integration with other applications like iMindMap, Evernote, Dropbox, Google Drive. The document management might be better and I appreciate some modifications and enhancements when visualizing dependencies on canvas view. But it´s nothing that is MUST HAVE and block your overall experience with this software. 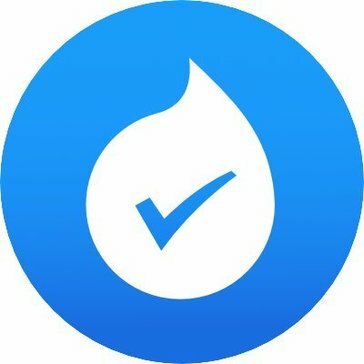 Give DropTask a chance. It´s dedicated to visually oriented people. The product has its vision and its moving to right direction. Day to day task management. Planning for upcoming project. Collaboration on projects with external partners or with family members. In my workflow I use DropTask together with MS Outlook from where (with use of DropTask plugin) you can directly create new tasks from email messages, without switching to desktop app, and sort them later. "A visual way to organize tasks"
I like that droptask has a lot of features like being to tag and assign tasks. I really like the circular canvas layout. It makes organizing things really fun. I do not like the workflow mode. I much prefer the canvas mode. Work flow seems a bit cluttered to me as tasks are filled in. We can track the status of ordering. One person puts in a request for some inventory and another person who is assigned can set the completion to 50% once ordered and then 100% once complete. We also keep track of things we are dealing with for our customer and can check things off as we go. "Visualize your tasks in a productive way"
Allows you to make a map of the entire process of your projects, and since it is a very visual tool to follow is enjoyable, you can customize it as it is convenient to carry the activities of the company, plan in phases and visualize it in templates kanban style, has service in the cloud and is available on all mobile platforms. I like the way of visualizing the tasks, it works as a collaborative tool, that is, it goes much beyond being a simple task manager, very complete and you save the use of several applications because you have everything in one. I like the fact that I can align my tasks and have them ready for me at a touch of a button. It really helps me get my assignments completed. I dislike the fact that I have to physically type the words that I would like to be written. I would like it to read my mind and predict what I want to do. I am solving every day business problems with this functional tool. "Visual Project management for dumies !!!" If you want to move forward in terms of project visualization, Drop Task it's a must have, must use! The main problem it solves, or, the best of it it's their capacity of taking an overall view of all project. "Easy to use - can make it exactly how you want"
Longer task names get cut off in the bubble format. My manager and I wanted to both be able to move tasks around to see what their status is in real time. This enabled us to move things around and have better insights to where projects are and who they are with. "Too basic for my needs"
If you are looking for something simple with a clean look - this is for you. Just the core basics of what some might need. Was looking for something to help me stay more organized and orderly. I would say to others considering Drop Task as an option to use for project management that they should try out the trial and see if it fits with their team. There honestly isn't much to like, the setup is quite easy. I dislike the overall product, it is extremely slow, especially the servers. We are attempting to use a cloud storage system with DropTask, but to little success. * We monitor all DropTask reviews to prevent fraudulent reviews and keep review quality high. We do not post reviews by company employees or direct competitors. Validated reviews require the user to submit a screenshot of the product containing their user ID, in order to verify a user is an actual user of the product. Hi there! 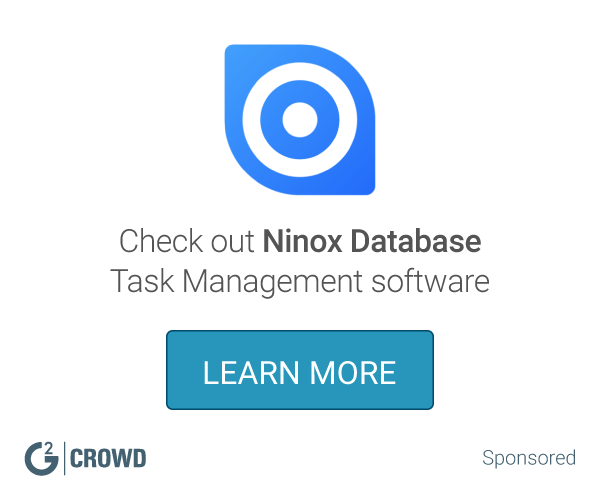 Are you looking to implement a solution like DropTask?